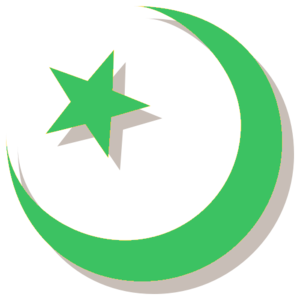 It is understood by Islam to civilization following the religion preached by the Prophet Muhammad and geographically stretches from Morocco to Indonesia, with strong presence in much of black Africa. Islam is not a new religion but the restoration of the original faith of Adam and Abraham. Islam means submission. Muhammad was from Mecca and came from a caravan familiade that made frequent trips. His own family was polytheistic, that against what he preached. In 622 he fled from Mecca to Medina in what is known as the Hegira. From that moment it is when the Muslim calendar begins. When Muhammad died in 632 Saudi whole was Islamized. The Koran is the holy book of Islam and collects the revelation received by Muhammad. Accept that Allah is the only God and Muhammad the last of the prophets. Prayer, held five times a day bowing toward Mecca and communally Friday. The limosma, ie property owned share with the needy. The pilgrimage to Mecca once in a lifetime if they have the resources for it. Jihad or defense of the faith, which is sometimes seen as the personal effort of every believer to live according to their faith but also understood as holy war. Sunnis and Shiites = = Sunnis and Shiites are the two great performances from the preaching of Muhammad. Sunnis, the vast majority of Muslims are orthodox and follow the tradition of the early Caliphs after Mohammed. Instead Shiites are followers of Ali, Muhammad's son-in. Muhammad died in 632 when the whole Arabian Peninsula was Islamized. Subsequent leaders Khalifa meaning "successor" is called. It was a religious leader, but also political and military. From the west to the Pyrenees, where they were detained by the Franks. The first major consequence of this situation was the revival of trade routes between East and West. Products such as silk or ivory and were helped gold dinar was international reference currency. Moments of prosperity and technological and intellectual development were experienced. The capital of the caliphate in Damascus but was established in the eighth century later moved to Baghdad. The political unity did not last long, internal divisions weakened the caliphate, while subsequent invasions of Turks and Mongols ended their splendor. This page was last modified on 13 November 2015, at 00:47.